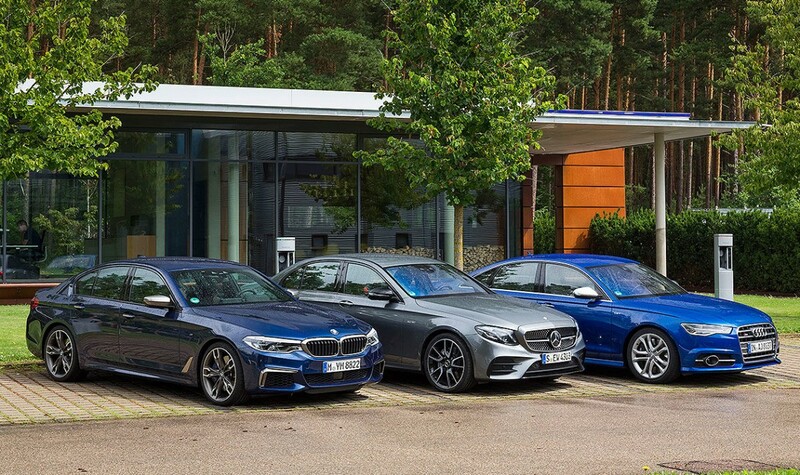 With the M550i BMW launches its first attack at the Audi S6 and Mercedes-AMG E 43. 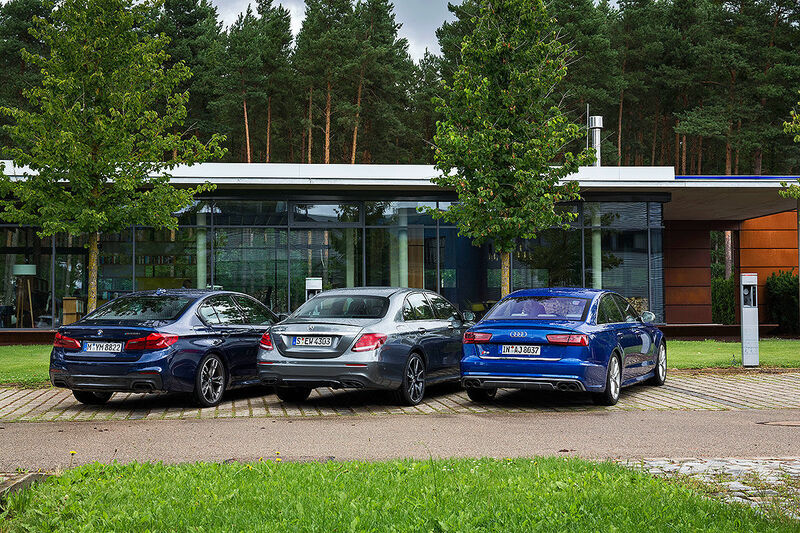 Our colleagues from Auto Bild set out to see which of the power limousines is trully the best. First comparison test. Sometimes it’s a bit hard to understand M GmbH. 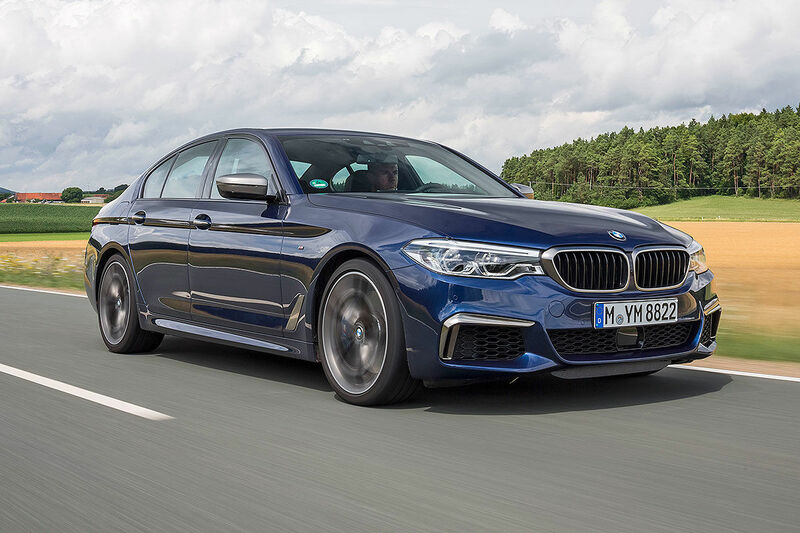 The BMW M550i is not only the newcomer to the model range, but also the newest member in the midst of a segment that, in principle, already seems to be largely occupied. 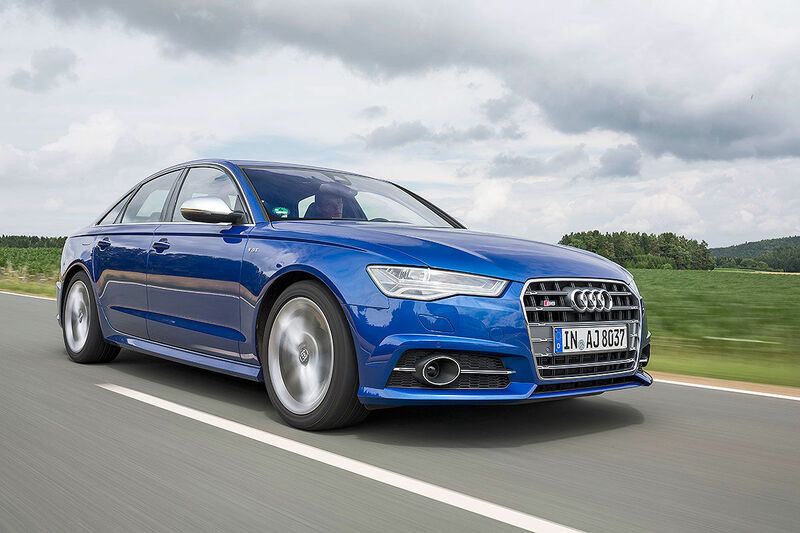 First and foremost, the Audi S6, the Methuselah among the business dynamic sedans. Despite its age, the controls click as full and defined as nowhere else, the digitization of the classic round instruments is staged pleasantly clear, and even the arsenal of driving assistance systems can still be proud of its sprightly technology architecture. Above all, the S6 is still the one Audi that stands out from the TDIs. A kind of antiseptic aromatherapy for downsizing-plagued Audi disciples. Enjoyable, full-bodied, yet very dynamic in a very subtle way. Just 0.85 bar charge pressure takes the twin-turbo V8 lung volume to 550 Nm and 450 hp, cultivating a smooth displacement experience and infiltrates the 1.94-ton sedan almost subliminally with the highest sovereignty. A big part of this is also due to the dual-clutch transmission, well-polished and fast when it’s pressed. Just as on the measuring straight, where it rushes into the torque band with momentum, resolutely hops off and conceals perfectly well that his seven speed gearbox has quite long gearing at the top. No matter, most of the mid-range range is well under control with 16.4 seconds to 200 km/h, where it has to let the BMW take control. Although the Munich express initially stumbled a bit, because its automatic gearbox is not enough polished to hande the huge torque, but once in full swing, the M550i dominated the longitudinal dynamics tests. The BMW pushes by far the highest torque (650 Nm), braces most of the power (462 hp) and merges with its eight stages transmission to a seamless flow of power. What is missing is only the feeling of being involved. In contrast to the Audi, for example, which still allows its driver to partake in its power – thanks to the comforting V8 grumble. In principle, the BMW does everything right; it pushes early, turns far and feeds depending on the driving mode different soundtracks from the V8 playlist. But somehow, over the entire performance, there is always a bit of an artificial veil of high-tech democracy. Or put another way: for a V8, the 4.4-liter is already very sterile – like a Rembrandt on the screen. But what else do you expect from a car that is completely networked and fully digitized. Positive in this context: the menu navigation of the iDrive system, which turns out more and more intuitive despite its increasing complexity. Negative: the entire squad of driver assistance systems, which can become confusing. Why does that bother us? Well, on the one hand, because assistance systems only make sense as long as they do not patronize the driving experience; and secondly, because there is actually one car here that integrates its security algorithms so seamlessly into the proceedings that they really are invariably supportive. In general, even after the most intimate togetherness, there is almost frighteningly little that could disturb you in the Mercedes-AMG E 43 at all. Sure, the two-part infotainment widescreen, which swells like a digital bookshelf from the instrument panel, is just as much a matter of taste as the associated graphics, which is animated in three different themes. But, and this is a big but, the E 43 mastered well the traditional values, despite all modernity. Lightning fast, highly sensitive suspension, plus excellent seating comfort, which is otherwise found only in luxury cinemas, coupled with a quiet interior atmosphere and a top notch ergonomy. The Mercedes-AMG E 43 actually succeeds the feat of being active and deeply relaxed at the same time. Actually we have two winners to celebrate here. On the one hand the AMG E 43, which manages to master old Mercedes virtues with new AMG ideals in a masterly manner; and in the light of this, perhaps the best E-Class ever. On the other hand the Audi, who conceals behind its impeccable etiquette such a delicate handling, despite the imminent arrival of the coming replacement. 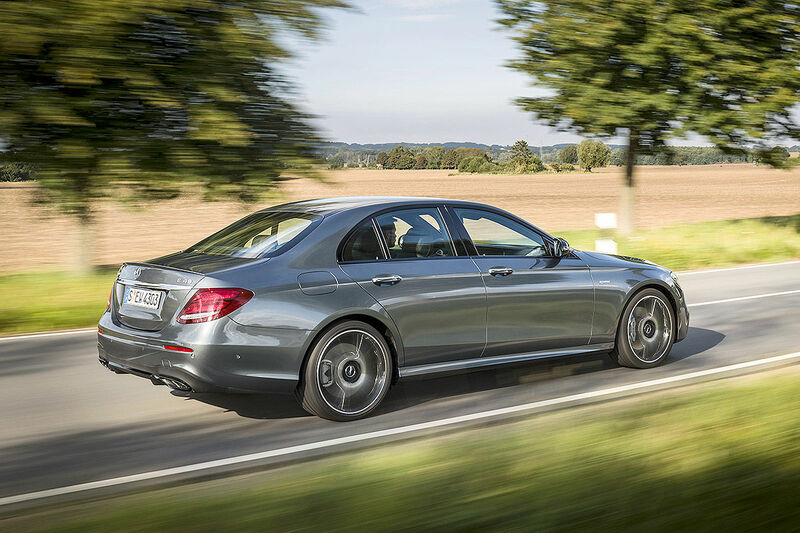 The BMW may be a highly confident long-haul sedan, but it is not an M Performer!